Connects 1/4" drip tubing to faucet or hose with standard 3/4" male hose threads. Now available individually or in cases of 8. 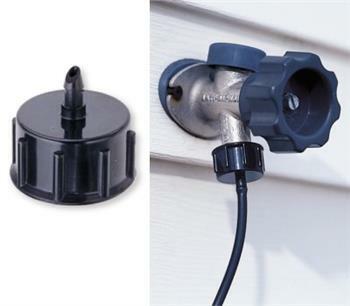 Connects 1/4" drip tubing to an outside house faucet or garden hose with standard 3/4" male hose threads. Now available individually or in cases of 8. When purchased in case quantities adapters are half price or 50 cents each.